Brush before your morning shower in circular motions. Start at your feet and move over the entire body. Always brush toward your heart with light pressure. Gradually increase pressure as you build your daily brushing routine. 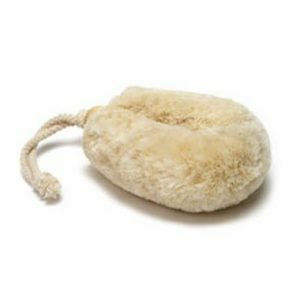 This handheld body brush is handmade with natural jute fibers. To improve your circulation, eliminate bodily toxins, reduce the appearance of cellulite and contribute to better health, use this body brush every day. To maintain the cleanliness of the brush, shake the brush after use and keep away from moisture. For dry use only. Replace the brush after 8-12 months of use. Did you know that a half-hour Himalayan salt bath in a solution of between 1% and 8% salt has cleansing effects equivalent to a three-day fast! Original Himalayan salt is sea salt as it once was. This salt is thousands of years old, formed when the earth was pristine and untouched by humans. It is unrefined and contains over 64 natural elements. Every element that is found in our body us held within these extraordinary salts! When we bathe with them, the minerals are absorbed through the skin, and by osmosis the toxins are released. The higher the salt content in in the bath, the stronger the detoxifying effect on the body.A sole bath also reduces the acidity in our body and balances the pH factor of our skin. Sole baths are very beneficial for dry skin as well. The salt is stored in the upper callous layer of the skin and binds water. This maintains the natural, protective film of the skin and the skin does not dry out. 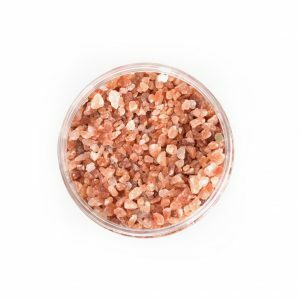 Himalayan salt has a distinctive pink colour, which makes it easy to recognize. The colour comes from the salt’s natural elements – like copper for instance. Add 2-4 cups of salt to your bathtub (entire contents of cone), and add just enough hot water to cover the salt. Leave the salt to dissolve for 15 minutes. Fill the bathtub with warm water, about body temperature (98.6’F or 37’C). Stay in the bath for 15 to 30 minutes. DO NOT RINSE. Rest for at least 30 minutes. ** This type of therapeutic bathe has a fairly strong effect on the body. You may want to slowly raise the amount of salt in repeated baths, or just start with a foot bath.